The Kim Kardashian contour in action! Kim Kardashian is always in the spotlight and everyone wants to get her look! 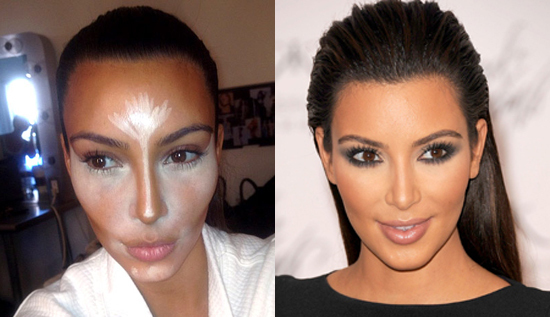 One of the major make-up trends Kim uses is contouring. If you’ve not heard of this make-up magic trick then keep on reading – it will totally transform your face! Contouring is all about adding shadows and highlights to enhance your best features. Here’s our step-to-step guide on how to achieve the Kim K contour. Now before we start, you have to remember that every face is different and if you have been blessed with high cheekbones or a narrow nose then just contour the features you think you need to. Don’t go overboard – it’s all about experimentation. Step 1 First, apply your foundation base to have a clear complexion and eliminate blemishes. Step 2 Load up your contour brush with your matte bronzer and apply this to the hollows of your cheeks just under your cheekbone, your jaw line (bringing it a bit down to your neck) and your temples for a narrower forehead. This will create the shadows to highlight your cheekbones and slim down your face. Step 3 If you want to narrow down your nose, get some of that bronzer on a small brush and lightly draw lines from the beginning of your eyebrows down the side of your nose to elongate and slim it down. Blend everything to remove harsh lines and create a seamless finish. Step 4 So now you’ve added the shadows, it’s time to highlight your best assets. If you’ve contoured below your cheekbones, get your favourite highlighter and brush that on top of your cheekbones above the bronzer. Do the same on the centre of your nose in between the two shadows you’ve created and on your chin, in the middle of your forehead and also on your cupid’s bow. This will add a subtle elevation to your face making it look more dimensional. Now for a full-on dramatic Kim K look that you could wear on a night out or to a special occasion, you will need an illuminating concealer in a lighter shade to use in place of your highlighter and a darker matte bronzer. For this look you should apply your eye make-up and lips first. Step 2 First you want to create highlights using your illuminating concealer. Try to get a slightly lighter shade so it can blend in seamlessly. To highlight your cheekbones, create a ‘V’ shape from under your bottom lash line in the corner next to your nose, down the side of your nose and up to the highest point of your cheek. In this ‘V’ you want to apply the concealer and blend. Step 3 You then want to apply the lighter concealer to the highest points on your face, so down the length of your nose, on your cupid’s bow and in between your eyebrows blending up onto your forehead. Step 4 To create the shadows on your face, you want to use a slightly darker bronzer and apply it to the hollows of your cheeks, down the side of your nose, on your temples and along your jaw line. Step 5 Now blend all of this gradually, starting from the centre of the face going outwards. This will allow the make-up to blend for a natural contour. When you need an under eye pick-me-up this illuminating concealers will bring light to the centre of your face. 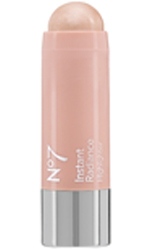 This is the perfect highlighter to use when contouring, as it blends seamlessly and creates a natural glow. Add a little colour to your highlighting with this bronzing illuminator. 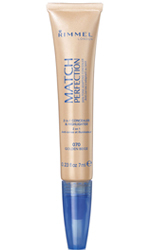 An easy-to-use matte bronzer that will create a natural look when contouring.